Roseanne Barr My Neighbor MURDERED My Goats! 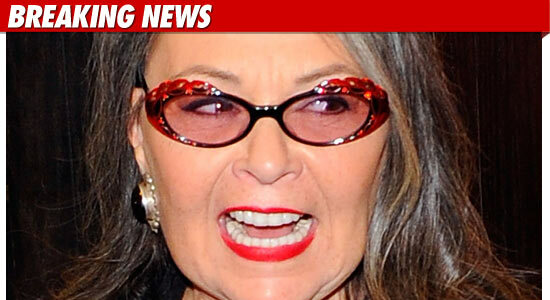 Roseanne Barr -- My Neighbor MURDERED My Goats! Roseanne Barr claims her neighbor is a gun-toting NIGHTMARE -- who slaughtered the comic's goats as part of a campaign of terror ... this according to legal docs obtained by TMZ. Barr -- who lives on a macadamia nut farm in Hawaii -- filed a request for a restraining order against her neighbor Roree Oehlman and her husband Richard ... claiming the couple has had it out for Rosie since she moved in. According to the docs, Roseanne claims the problems began from the moment she moved in -- when her neighbors declared they don't want any "Kaballah studying [that means Jewish) people here on the Big Island." Roseanne says Roree claims to have guns -- and often harasses and even threatens the comic. In fact, Roseanne claims one morning she found two of her four goats had been killed -- and shortly after Rosie discovered the bodies, her neighbor allegedly told Roseanne's son-in-law, "That's what happens when you piss people off." Rosie wants a judge to ban the couple from getting anywhere near her property -- or contacting any member of her family. In related news, the county recently cited Roseanne for doing "illegal work" on her nut farm ... after Roree filed a complaint in the "interest of public safety." Roseanne's Ex: She Made Me Pay for Costco!